Welcome to the official website of the 99th Infantry Battalion Educational Foundation. 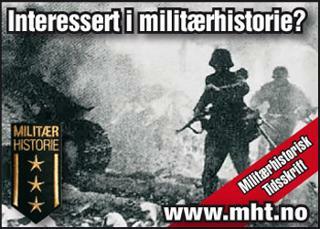 Dedicated to preserving the history of the Norwegian-American Infantrymen of the United States Army in WWII. 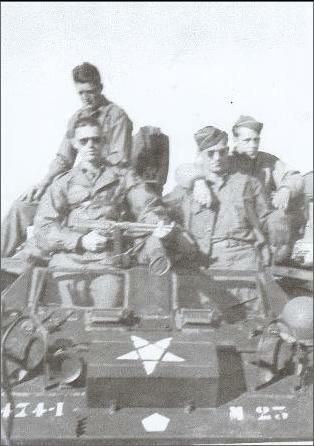 The 99th infantry Battalion (Separate) was activated at Camp Ripley, Minnesota on August 15, 1942 as per written instructions by the War Department. This unique elite unit was to consist only of Norwegians and Americans with direct Norwegian descent. Soldiers picked out for this elite unit had to have a working knowledge of the Norwegian language and preferably already knowing how to ski. A battalion is a very small unit and a typical battalion was only about 886 men, however the 99th being “Separate” could not rely upon the support troops a typical battalion has at Regiment, so the (Separate) battalions table of organization called for 1,000 men. When the unit shipped overseas the 99th's Dentist was told a dentist was not on this organization table. His two Senators and Congressman from Minnesota got the War Department to change that or else have trouble getting what they wanted, and Dentist Captain Gustav Svendsen flew to rejoin in Great Britain the 99th which sailed several weeks earlier. Thus at full strength the 99th was officially 1,001 men. Norwegian teeth were found to be as important as other critical war items. The size and military significance of 99th Infantry Battalion (Separate) therefore at first glance seems insignificant. But seen from the Battalion’s accomplishments and its ethnic composition as well as its history it emerges as a successful and true multinational unit within the United States Army. “1. It is desired that you take the necessary steps to organize at the earliest practicable date a battalion of Norwegian Nationals to serve as a part of the United States Army. 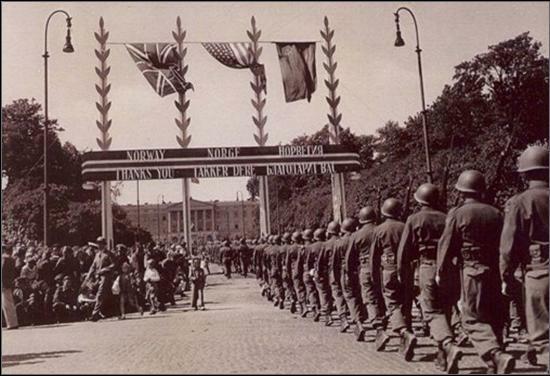 The unit was set up for a possible invasion and liberation of Norway, but saw combat action in France, Belgium and Germany before becoming the 99th Battalion of the 474th Infantry Regiment (Separate) and being sent to Norway in June 1945 to disarm the German occupational force. Many Norwegian seamen were stranded on Norwegian ships around the world, and for those that wanted to fight for Norway, the 99th Battalion became a solution. In addition there were of course a relatively large number of soldiers in the United States Army which were either first or second generation Norwegian immigrants and were hand picked for this unit. The Battalion had received specialized mountain training with the 10th Mountain Division at Camp Hale Colorado, thus was a potent unit capable of taking on specialized missions not suitable for the average Army unit. The 99th Battalion was therefore given “Separate” status and attached to various units as needed to strengthen other units and solve problems. 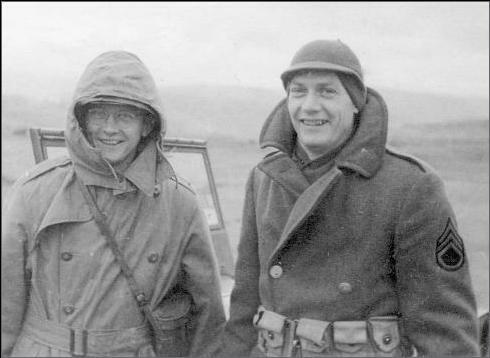 The Battalion also contributed personnel to Operation RYPE (often referred to as NORSO), which was an airborne top secret commando mission into Northern Trøndelag towards the end of the war. 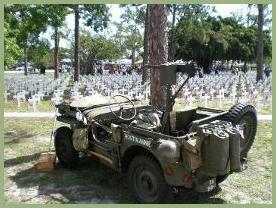 Because of its status, the 99th Battalion received a lot of attention usually not given such small units. They were inspected by President Roosevelt, and its duties were discussed in a conference between Churchill and General Eisenhower. It was intended to become the security force for the Norwegian Royal family and the Government in the event a battle for Norway would be initiated in the later stages of the war. After the war, King Haakon VII made the 99th Infantry Battalion (Separate) his honorary guards. 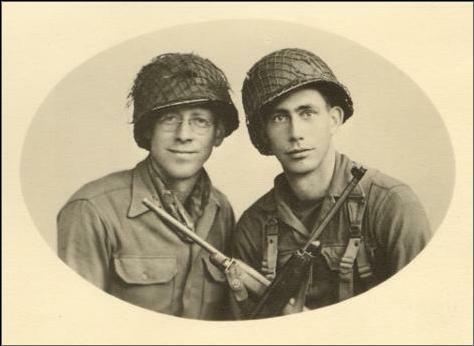 The Battalion stayed in Oslo area together with the other two battalions of the 474th Infantry Regiment until October 1945 when they went back to the United States. Reading through the names of its members you could very well believe that you were looking at the Oslo phone book. The names are virtually all Norwegian, and soldiers with no Norwegian heritage were often “given” Norwegian names to better “fit in”. 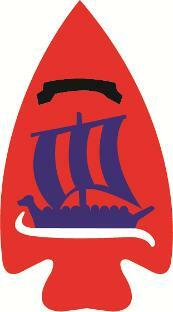 The 99th managed to maintain its Norwegian identity throughout the war. Their “working language” was Norwegian, and non-Norwegian replacements would learn this after their deployment. 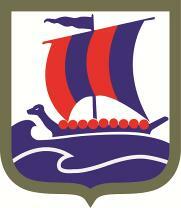 To this date the 99th Infantry Battalion (Separate) is the only unit of the United States Army with a pure Norwegian history. It is truly unique and an important part of the joint history of both Norway and the United States. It is today not very well known, and most Americans as well as Norwegians are unaware of its significance. 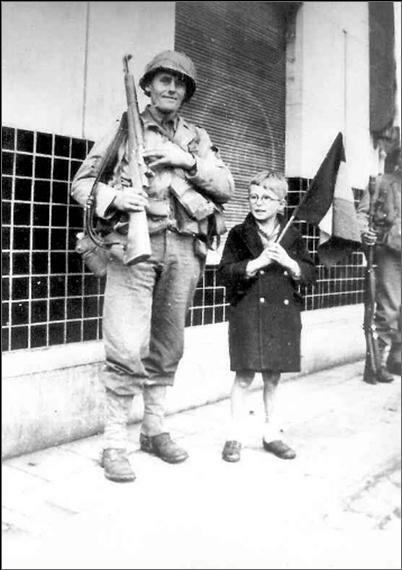 This is the true official website of the 99th Infantry Battalion (Separate) initiated and maintained by its surviving soldiers and their family members, and meant to tell the story of the Battalion to those interested to learn of its history. This website cannot tell the complete story, but it is hoped that it triggers further interest and helps preserve its heritage. 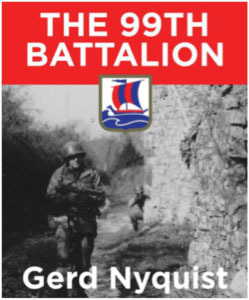 For those interested in learning more, we encourage to obtain one of the books written about the Battalion in either English or Norwegian. This website is maintained and funded by the 99th Infantry Battalion (Sep) - World War II Educational Foundation (all), a 501c3 non-profit organization registered in the State of California. The Foundations Mission is to preserve the history of the 99th Infantry Battalion (Separate) for future generations and to keep their legacy alive. 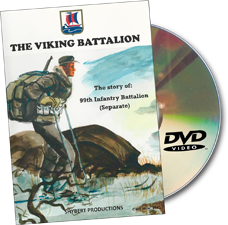 99th DVD "The Viking Battalion"
Steinar Hybertsen's documentary film "The Viking Battalion" tells the story of the 99th Infantry Battalion in never-before-seen film and images. Click here to purchase. Newly translated with an expanded photo section, available on Amazon or your local book dealer. Click here for book review and to purchase. The Foundation keeps its members updated via newsletter. Read our newsletters here.